The Purrfect Gate was created to work seamlessly with the Purrfect Fence cat enclosure system. 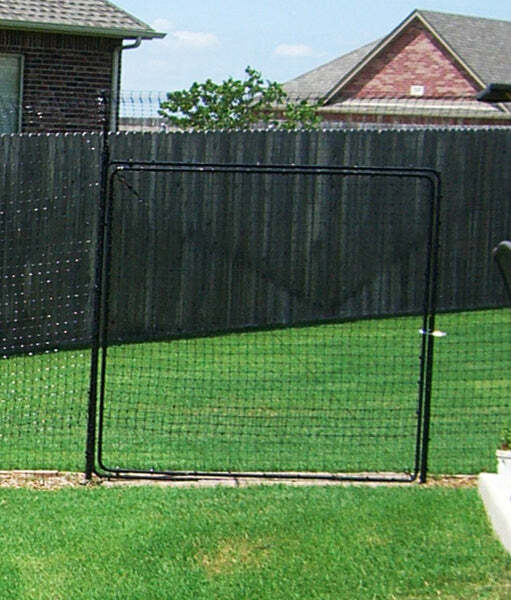 This innovative gate design offers easy access to your enclosure, with an opening measuring 69" high and 30" wide. Most standard push mowers will easily fit through the 30" wide opening. If you need a wider gate, Purrfect Fence offers an extension kit which will make your gate open to a width of 60", allowing access for most lawn tractors.